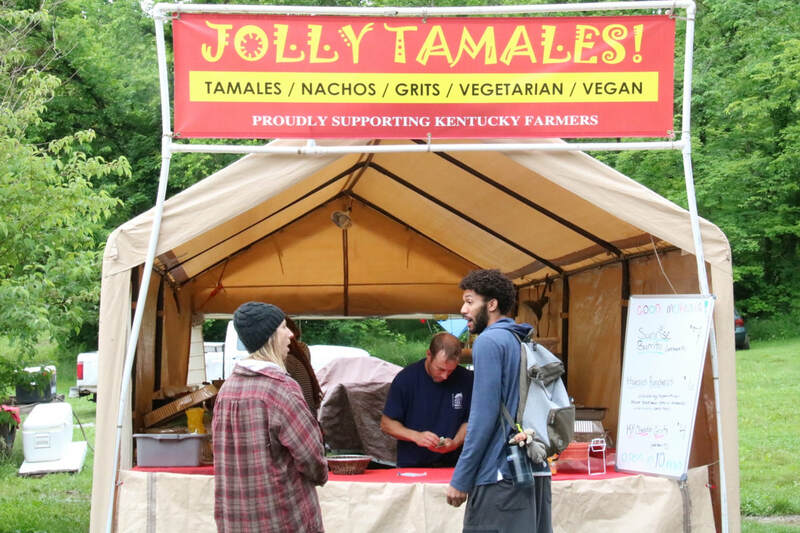 The amazing thing about MYPATH is that all of the above is taking place in the open air, on a beautiful, sustainable farm set in the rolling hills of central Kentucky. Add in camping, live music, delicious healthy food... and you have one incredible weekend! 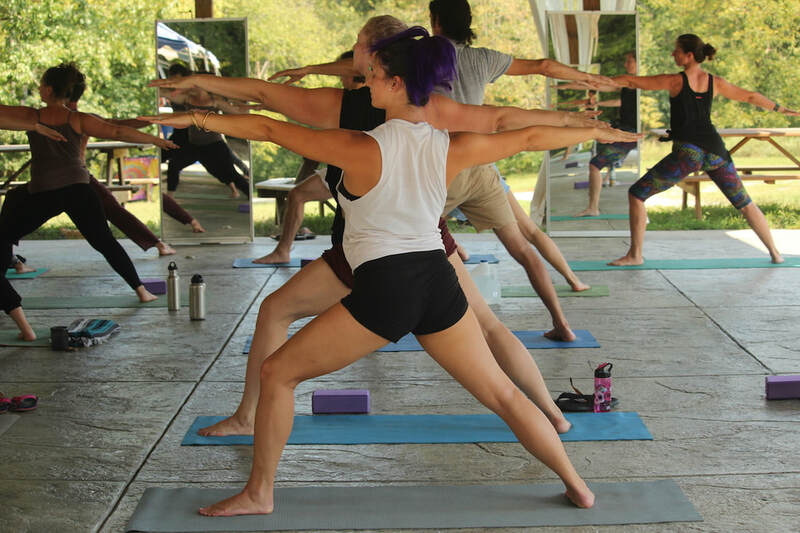 While each MYPATH event is likely to include some of the classes such as the ones mentioned above, they are also each unique, with a rotating roster of instructors chosen to present their particular specialty. During the scheduled workshop times you'll have a choice of three classes to choose from, and many are repeated throughout the weekend so you have the chance to participate in almost every one. 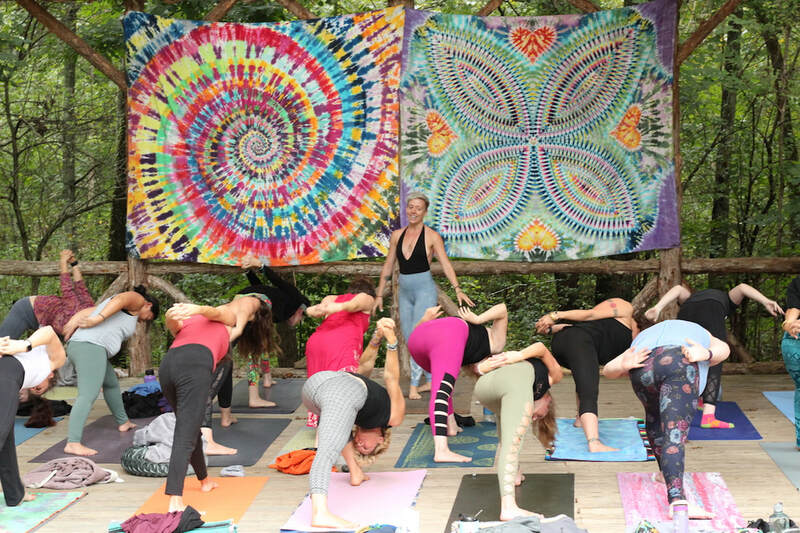 The classes will tie together a particular theme - past themes have been Freedom, Growth, Healing, Transformation, Awareness - and you are invited to reflect upon the theme throughout the weekend and relate it to your personal journey. There is plenty of time to relax and provide sustenance for your body included in the schedule. 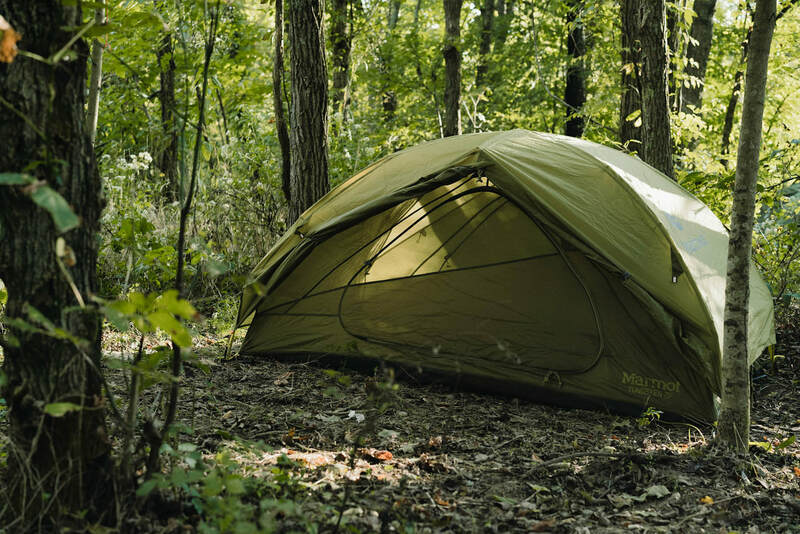 Campers may want to bring their own food and cooking supplies; small campfires and camp stoves are welcome. If you choose not to cook for yourself, there will be food vendors on site offering healthy meals, snacks and beverages at reasonable prices. Please keep in mind you are not required to attend a class each session – if you need the time to chill please do so! There are gardens, woods, fields, and riverbanks to explore, plus horses and dogs that love attention. You'll always find someone interesting to talk to, and if you are deep in a conversation feel free to skip that next class - but be aware that voices do carry so please keep voices low while nearby classes are in session. 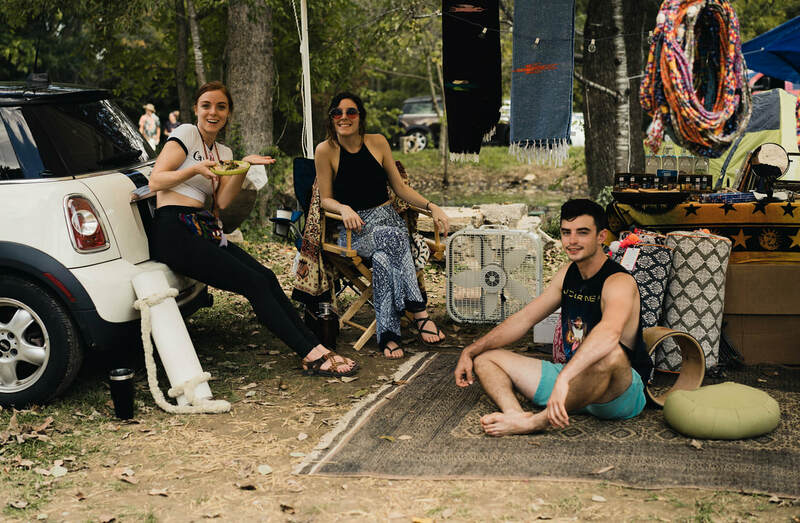 Be sure to visit the vendors during your free time, too! Saturday evening, a group catered meal will be provided and is included in the ticket price. Chef Judy will create a dinner especially for this event using organic ingredients grown and raised on Terrapin Hill Farm and other local farms. Vegetarian, vegan and gluten free options will be available. This is a wonderful time to enjoy the camaraderie of new friends... and immediately following the Saturday dinner there will be live music and dancing! Camping is included in the ticket price. There are many campsites throughout the venue, in open fields or in the woods - be up close to the action or further away if you wish. Flush toilets and hot showers are provided. RV sites with water and electric hookups are also available, contact us to reserve one. In case you forget anything the on-site General Store offers ice, drinks, snacks, some camping supplies, and an ATM. Not a camper? The Baymont Inn and Quality Inn are just 15-20 minutes away in Harrodsburg. The Coleman House B&B and the Beaumont Inn are other great options for places to stay in town. 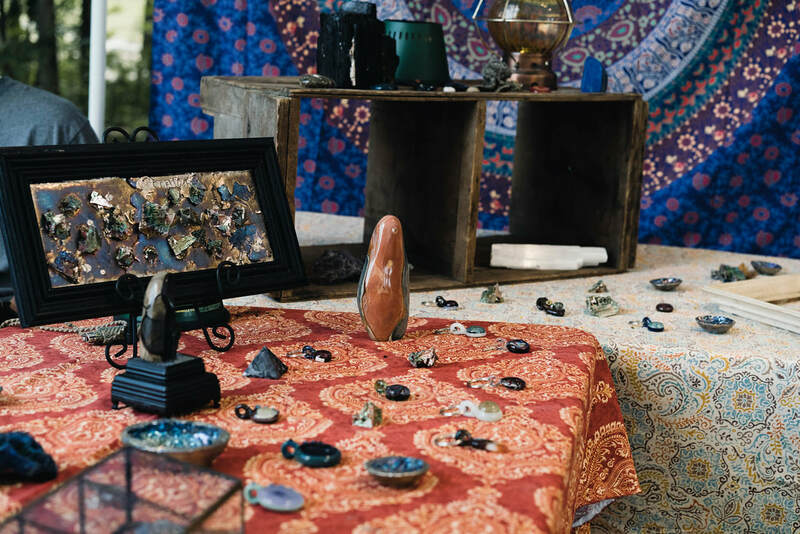 You'll have the opportunity to shop for fun things like active wear, jewelry, yoga props, essential oils, crystals, artwork, and lots of other great items to enhance your yoga/spiritual practice or just to enjoy as mementos of a wonderful weekend. There are usually several different healing arts modalities and spiritual readings offered. Each night there will be a community bonfire and musical entertainment! Friday night there will be an open mic, so if you sing, play or like to read poetry, be sure to sign up on the registration form. 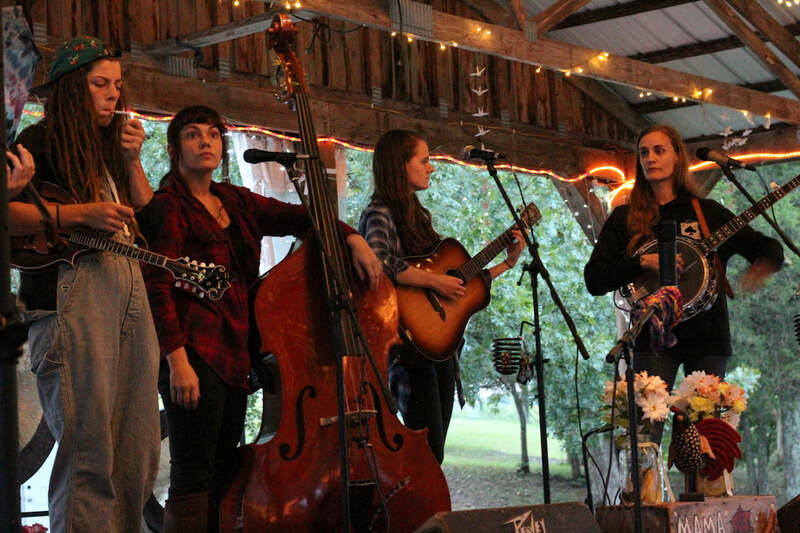 Saturday night will feature a local band after the catered meal. Some of the classes also feature live music. You'll spend the whole weekend with people who share your interests, passions, ideals... and will most likely leave with a number of new friends. 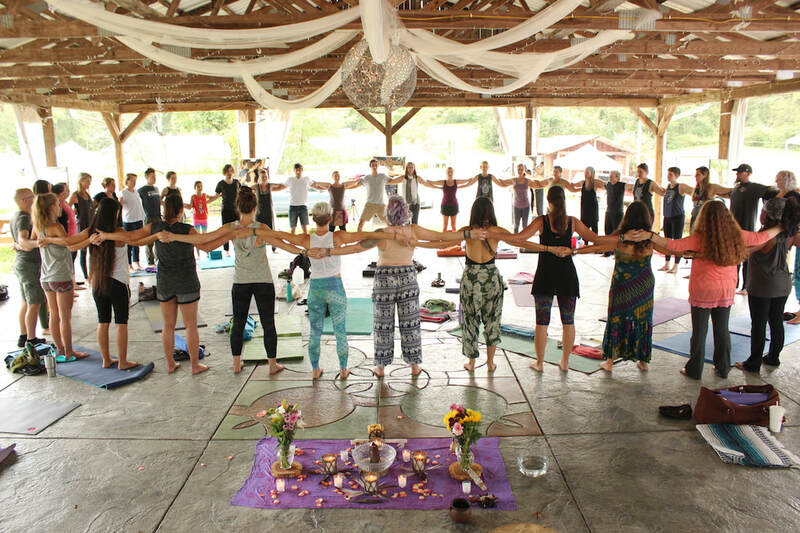 Many participants make connections that further their careers in the healing arts. MYPATH has been called the place where "healers are healed", but it is also very open to people from all walks of life who simply feel called to further themselves along their own Path. Click on the button to register! ​MYPATH is brought to you by Top of the Knob Productions, producing quality events at Terrapin Hill Farm since 2001, and The Inner Warrior, providing eco-friendly yoga clothing & accessories for both men and women since 2014, at 600 Distillery Commons #250, Louisville, KY.